A. 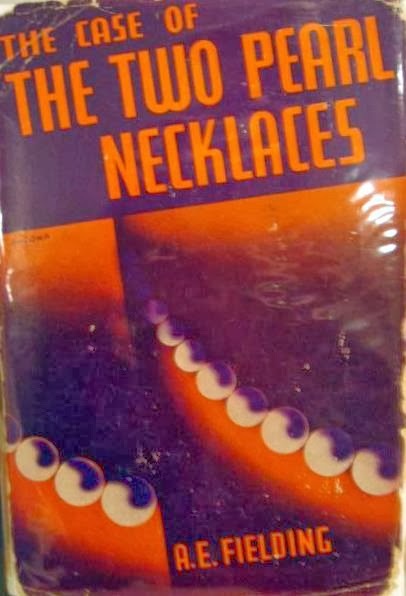 Fielding's The Case of the Two Pearl Necklaces (1936) has the kind of posh "Downton Abbey" milieu people immediately associate today with classic English mystery of the Golden Age. Without further ado let's introduce our characters. When the novel opens Arthur is visiting his rich father, Colonel Walsh, at the family mansion, Friar's Halt, to deliver what he fears will be quite unwelcome news to his father; for Colonel Walsh is an upright, intimidating man. "He had a long thin face with a tightly compressed mouth and steadfast grey eyes," Fielding pronounces of the Colonel. "Taken together, eyes and mouth gave him a curiously daunting air." "Poor old Gerald! Where was it?" "In Smyrna. Circus performance. The roof crashed in, and Gerald was among the dead." I must say, this is the first mystery I have read where a character gets called to his reward at a circus performance in Smyrna, so props to Fielding for originality on this point. Anyway, as mentioned above, Arthur has news too. "Nothing much," Arthur gave a little deprecatory smile. "Her father was a barrister. He's dead. Her mother--" Arthur hesitated. "She's not the Mrs. Finch surely?" Whoops, 'fraid so, dear old pater! Violet's mother indeed is the Mrs. Finch who started all those notorious, once hugely successful, nightclubs (no more than gambling hells, some people say). Now they are on their way out, and Mrs. Finch, it seems, is on the rocks. Fortunately, she has an asset in her lovely daughter, Violet, who is quite untouched by London night life, Arthur assures the colonel: "She's not in the least a cabaret girl, sir. You needn't be afraid of that." The Colonel grudgingly assents to the marriage, because, he tells himself, at least Arthur, profiting from Gerald's example, has been honest about it. He had of course hoped that Arthur might marry the Colonel's niece and ward, the sweet young Kitty Walsh, while the Colonel's imperious sister, Lady Monkhouse, gave her nod to stately Ann Lovelace, the favorite niece of the Duchess of Axminster. "Ann's selfish. She has a horrid temper. You remember we were at Bedlington together....Oh, yes, she was Head Girl in her last year. But none the less there were plenty of others who felt just as I did. Ann always intended to be Head Girl, and so, of course, she pulled it off." Clearly Kitty still hasn't gotten over the whole Bedlington "Head Girl" affair! Soon Ann is involved in a fracas with Violet, accusing Arthur's fiancee of pawning the fabulous "Queen Charlotte pearls" (two pearl necklaces, a short strand and a long one) that Arthur has bestowed upon her and substituting fakes for them (by the by, Violet has willed the pearls to her mother). Arthur stands by Violet, however, and the marriage tales place. Yet not long after the marriage tragedy strikes. Violet is found dead, horribly struck down by a "modernist figure" with "four metal corners" like "so many steel axes." And the longer strand of pearls, which Violet always wore, is gone! Looks like another high society murder case for the redoubtable Chief Inspector Pointer! I see I didn't mention that Violet was found dead at the flat of Ronald Mills, her mother's too-smooth business partner (to people's surprise, it turns out that "Mills is a Cambridge man, with some quite decent family connections"). Or that Mills' flat is located above the garage owned by Mr. Grey, Mrs. Finch's mysterious second husband (Mrs. Finch hasn't even bothered to take her new husband's name). Or, oh yes, that the Walsh family is Catholic and that Arthur has a religious fanatic cousin, Ambrose Walsh, a priest adamantly opposed to Arthur marrying a non-Catholic, who just happened to be across the street when Violet was brutally murdered, "teaching a little blind boy his religious lessons." I have to admire the way A. 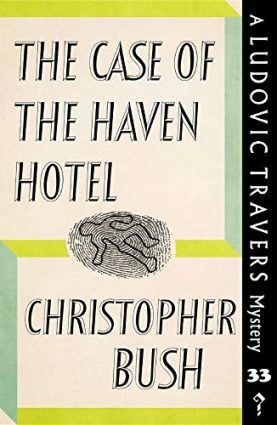 Fielding unabashedly throws in all these admittedly cliched elements to come up with an enjoyable, quick classical-style mystery read (the whole book is not much over 60,000 words, I judge). To be sure, there are some typos and sloppy syntax. Dorothy L. Sayers once spent almost an entire review of Fielding's novel The Paper Chase (1935) decrying a single sentence that she found utterly indecipherable. My favorite odd linguistic construction in Necklaces is: "'Detained! You mean arrested! Hung?' Arthur cried with leaping eyeballs." I'd really like to see an actor depicting that passage on film. I suppose there would be a resort to CGI. I didn't deduce the culprit, but, unfortunately, Fielding doesn't provide the reader with all the clues that she gave to Pointer. Nor were the actions of one character entirely explicable to me. This seemed a case where the author was so anxious to surprise the reader that she didn't quite play fair. But, for all that, I enjoyed (in rather a camp sense) the story, which has so many features I love in an English mystery. In his notice on Necklaces in the Saturday Review, Judge Lynch deemed it "notable mainly for its amazing picture of how nasty the British upper clawsses can be." He's not far off there--Fielding gives us one rum lot of characters. Next up: an earlier, rather more Croftsian, Fielding mystery; and quite a good one, I think. I'm still chuckling over the "leaping eyeballs"! Audra, I know! It makes me think of that scene in The Fellowship of the Ring where Bilbo goes all feral on Frodo over the Ring.